Stomp contributor Kelvin sent to Stomp a video that showed a death tent at the accident scene. Stomp contributor Ah Boy also shared photos that have been circulating online. 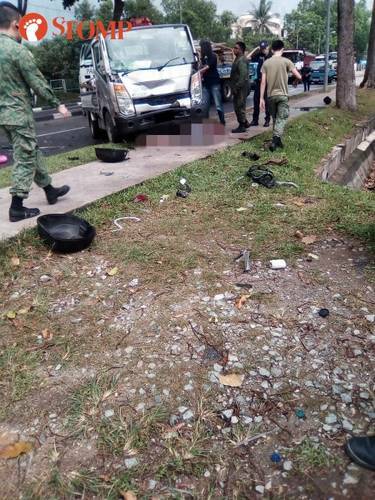 Stomp understands that the lorry had been travelling on the left lane along Sungei Kadut Avenue towards Woodlands Road, while the bike was on the right side of the second lane. 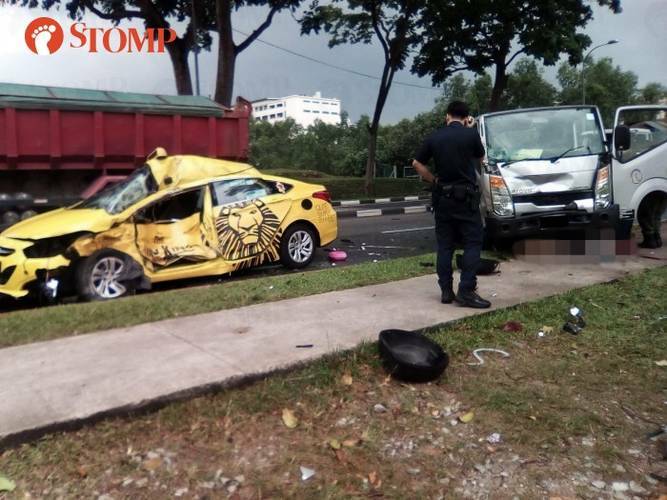 The taxi was travelling from the opposite direction when it mounted a kerb and collided into the motorcycle, then crashed into the lorry.